Why does no one talk about Indonesia? Indonesia is the fourth biggest country in the world and bigger than Brazil. Yet, I don't think I recall ever reading something about Indonesia among Western media - unlike all other countries in this list and also smaller countries. Maybe I am just ignorant, but I'd consider myself a politically interested person, but genuinely don't know anything about Indonesia apart from the fact that it is a Muslim-majority country and consists of lots of islands. Are the men hot there? Not China and India hosting almost 40% of the worlds population. Electric condoms. Maybe Bali rings a bell. Jokes aside, are you asking like in the news or meeting an Indonesian overseas? If you go to big cities yeah you can find typical IG gays. Bali has its niche gay club scene as well. Indonesia is having a GE in 16 days, FYI. Maybe Bali rings a bell. Jokes aside, are yo﻿u asking like in the news or meeting an Indonesian overseas? The Philippines, for example, are a neighbor country of Indonesia and not even half as big, yet you read from time to time about Duterte and his barbaric measures in Western media. Isn't that a islamic country? Well the last big news that happened here was when we got our first Christian governor who is not of native Indonesian descent (he's Chinese) and he was sent to jail for alleged blasphemy which the liberals and I believe a is a form of racial and religious discrimination. Idk if that made news in the West but it was huge and intense here. 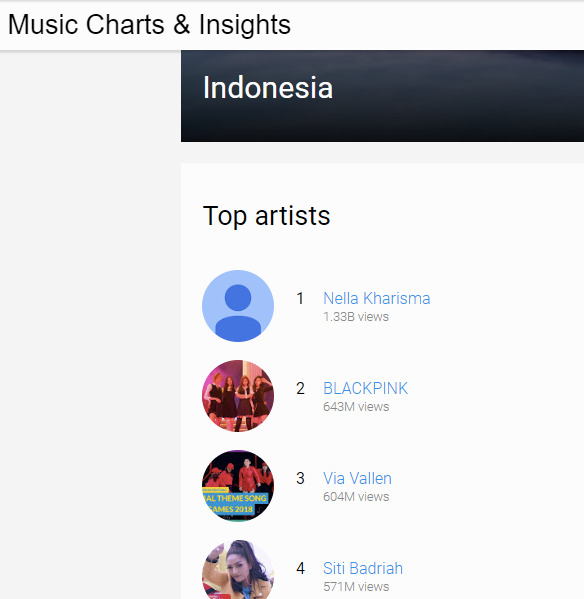 I stan Indonesia like they stan for Blackpink. Well the latest big news here was when we got our first Christian governor who is not of native Indonesian descent (he's Chinese) and he was sent to jail for alleged blasphemy which the liberals and I believe a is a form of racial and religious discrimination. Idk if that made news in the West but it was huge and intense here. Indonesia while a big economy and player in itself, just does not hold that much bearing or influence in world affairs at the moment. Look out tho for the elections; a possible right wing fundamentalist president will be a huge deal, the same way Duterte's barbarism has made a huge splash worldwide about the rise of right wingers. Indonesia while a big economy and player in itself, just does not hold that much bearing or influence in world affairs at the moment. Look out tho for the elections; a possible right wing fundamentalist president will be a huge deal, the same way Duterte's barbarism has made a huge splash worldwide about the rise of right wingers. Indonesia is stuck at the middle of sorts. It has a large economy but its income level is middle class at most, same level as Thailand and Philippines, and lower than Malaysia. Even then, its not the type of large economy that depends on exports (its biggest exports are natural resources) but rather domestic consumption and services, meaning that it doesnt have the clout to economically influence other countries and are rather the ones being influnced by the richer countries due to its large domestic base. Neoliberalism at its finest. As for its president, yeah Widodo is popular and is a much better candidate than the Suharto general he defeated last election @Jealous would know the tea about this. What I meant tho was that considering the rising Islamic fundamentalism in Indonesia (which I honestly dont really understand why), an Islamist president is very possible in the future, and if elected, it would have huge implications in world affairs, given that Indonesia is the world's largest Muslim country which might give us Islamic Revolution Part 2. Ofc Im just theorizing and speculating but everything is a cycle. That's so interesting, thanks for the information. but Indonesia has a chance to not reach that conclusion ultimately because it is a technical demoracy, an initially secular country and is a multicultural society. Pakistan and Iran never had those factors, in which they were ethnostates and autocracies. I'm Dutch so i know about Indonesia. I have lots of married Indo(-European) and fully Indonesian family as well. I'm also always shocked that Indonesian isn't an option when asked for favourite cuisine cause nothing is better. Can't wait to visit Java and Bali someday.